Digital literacy is quickly becoming crucial to a child’s’ learning and even just a basic understanding of coding in today’s world can be a huge benefit. The good news is that with many fun toys and games that are based on coding fundamentals, it is easier than ever to teach your children code and programming essentials. In this list, we will share with you 16 of the best coding and robot toys for kids with a focus on toys that teach programming. From robot toys for 4 year olds through to coding kits for teenagers, all are aimed to teach kids digital skills in a fun and engaging way. To make it easier for you I have listed them roughly in age order, starting with robot toys for toddlers. However, it is worth noting that many of the best STEM coding toys for kids use a variety of programming techniques, so while it may be listed as a toy for kids aged six and up . . . up goes a long way with these devices. *The links in this page are affiliate links, that means that if you purchase after following one, I make a small commission from the sale. Meet Colby, the Code & Go Robot Mouse who lights-up, makes sounds, and features colorful buttons to match coding cards. Colby turns coding for kids into a hands-on analog activity, great for tactile and visual learners. 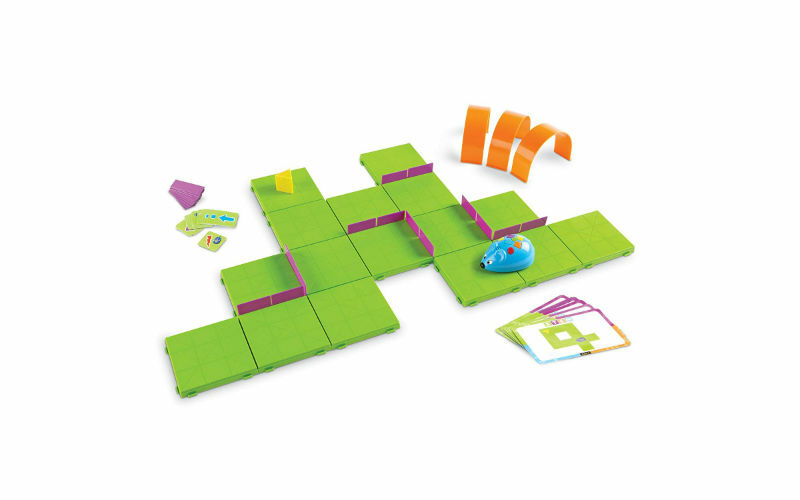 Your little ones can input up to 40 programmed coding commands to help their robot mouse navigate obstacles through the 16 interlocking maze pieces introducing screen-free coding fundamentals in a fun way. As kids learn to play with Colby they build key skills that include critical thinking, problem-solving, sequencing, and programming. 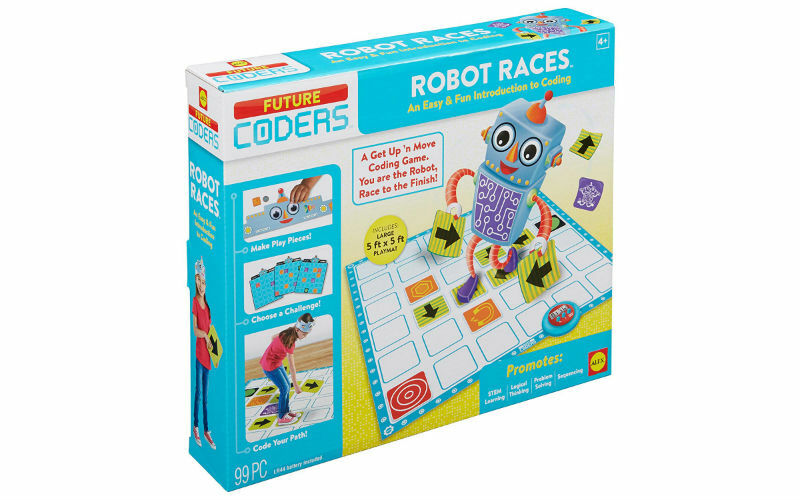 OK, something a little bit different here; the Future Coders Robot Races Coding Skills Kit. The kit teaches kids early coding logic by asking them to dance, spin and jump their way to the finish line. It is a way of playing an active game while teaching early coding logic ideas. The kit includes a play mat, 30 direction tiles, robot hat, googly eyes, 20 level cards, 44 stickers, a timer with battery and instructions. 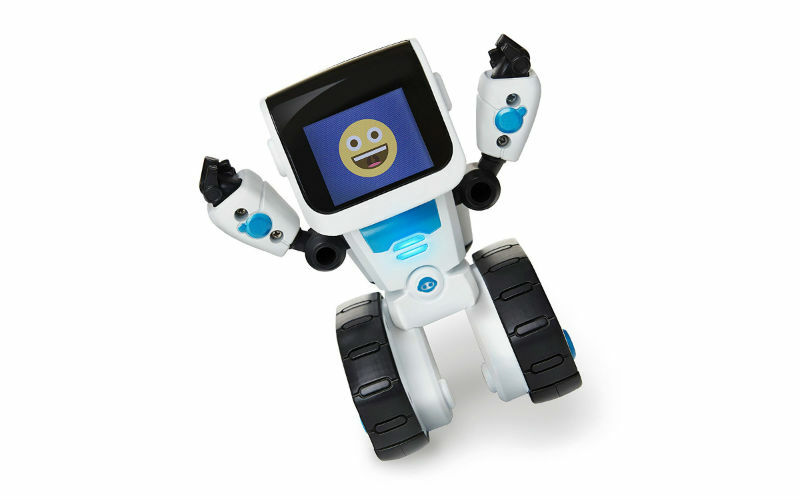 COJI is a fun preschool robot for and one of the best robots for kids between four to seven. It teaches kids the basics of coding using familiar emojis to avoid the need for difficult reading tasks and can be enjoyed with or without the free app. There are a range of different memory and problem solving games that kids (and adults too if you like) can play with COJI that develop STEM skills from a very young age. COJI also reacts to physical interactions such as tilting or shaking, so the fun doesn’t have to end when the kids have run out of screen time! 4. Root Robot – Learn to Code. Use Root to make artwork, play music and create games. Robotics for Kids & Adults. 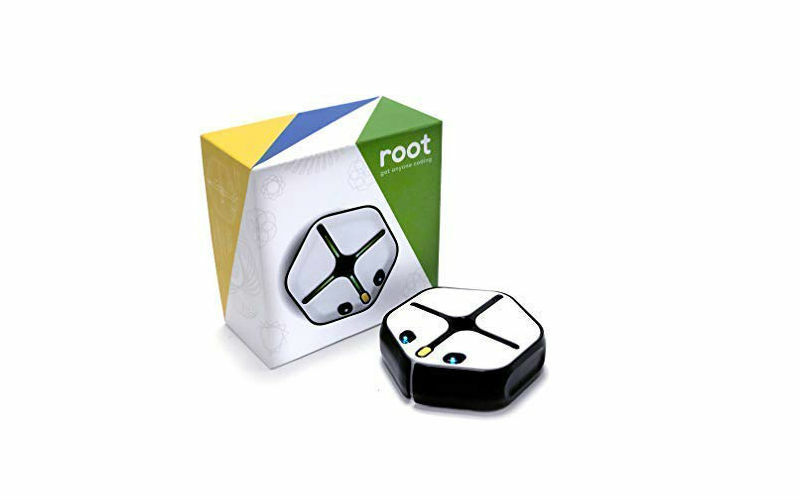 Designed with love from a team that worked at iRobot, Sonos, Apple, Google, Microsoft, MIT, and Harvard University, Root draws artwork, plays musical compositions, responds to touch, and the Root Coding app includes integrated lessons, projects, and the ability to share what you code with other people from around the world. Built with 3 levels of coding, Root makes it easy to start at any skill level. Level two is Easy to Advance which introduces variables, flow control, sensor values, units, operations and parallelism. The code converts between the levels so you are never faced with starting at a blank screen, advance to the next level for precision. Finally level three, Reach Real Coding, here kids can use drag-and-drop text blocks to manipulate the real languages and coding syntax of Swift. 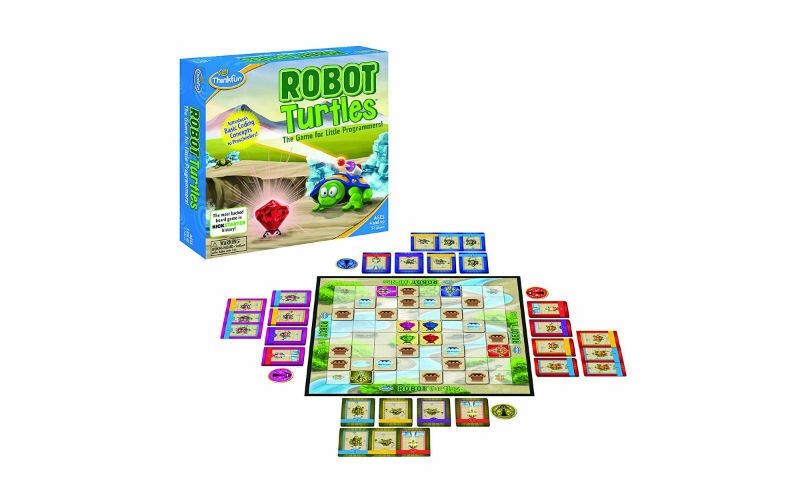 Robot Turtles is one of ThinkFun’s best games for kids ages 4 and up. It was designed by programming expert Dan Shapiro and was the most-backed board game in Kickstarter history when first released. Gameplay provides a stealth learning experience, where players learn key programming principles in a fun, easy to learn way. Inspired by the Logo programming language, Robot Turtles lets Parents and children play together and up write programs with playing cards. 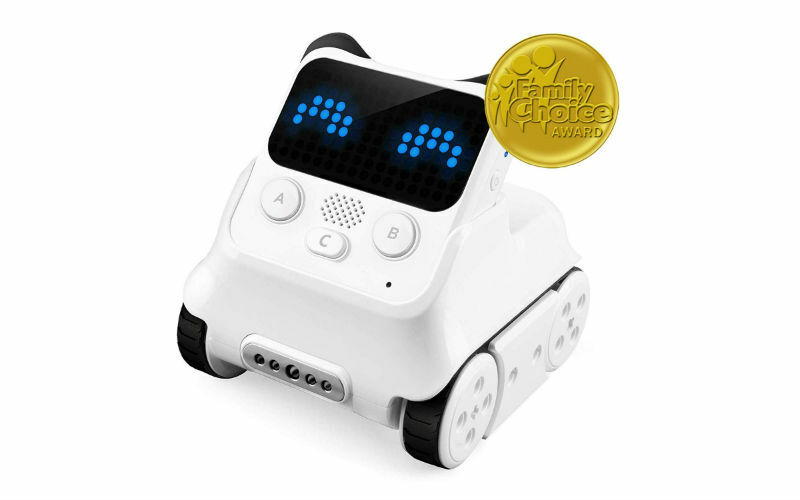 Botley is probably the best educational robot for 5-year-olds and upwards and there is a good reason it was a finalist in the Toy of the Year. 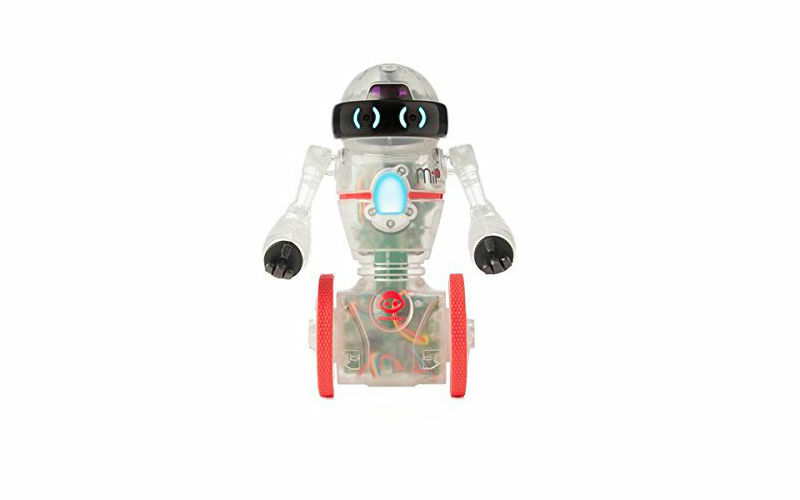 This little robot teaches your child to learn early STEM skills promoting critical thinking and problem-solving skills. He introduces kids to code with 40 coding cards, 6 double-sided tiles, 27 obstacle building pieces and a starter guide with coding challenges. What this means is that unlike many other coding robots, Botley is completely screen free so you don’t have to worry about your little ones staring at more phone screens or tabets to enjoy this little bot. Oh, and one more bonus, Botley is ready right out of the box, no faffing around with software instalations or downloading app, just insert the batteries and you’re good to go! It’s never too early to start developing children’s STEAM skills with visual learning at an early age, especially when it also keeps them occupied for hours! This is there this little guy can help. Alilo is an all-in-one toy enabling kids to learn with interactive and intelligent robotic play, both with or without an app. 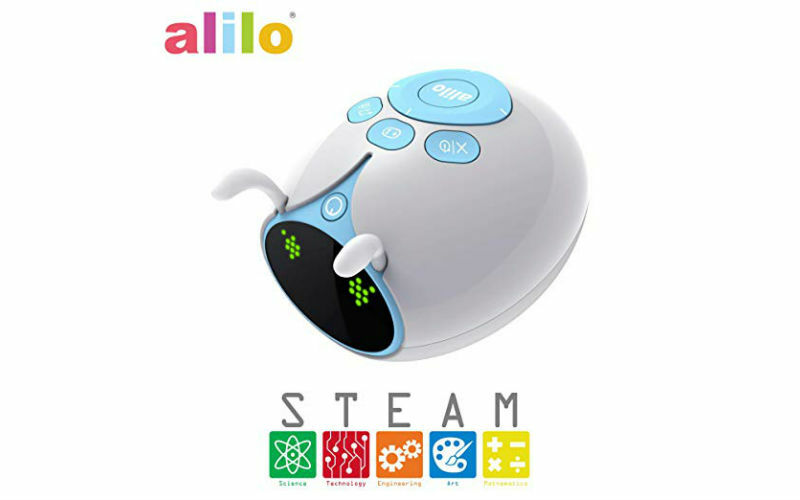 The included 25 programming graphics cards can be placed on the floor to allow Alilo to read and follow directions and hidden commands from invisible codes embedded in the graphics to give Alilo commands. Alternatively, kids can use Alilo with an app to leverage SCRATCH Blocky Visual Drag and Drop Swift editor developed by MIT and Google to train children with executable coding and programming. Perched atop dual wheels, this multi-functional and autonomous robot is more than just a kids robot toy. Equipped with GestureSense technology, any hand motion controls MiP, or load up the free MiP App and you can control with simple drag and drop commands. This robot has an inquisitive personality and communicates through motion, sounds, and LED lights in his eyes and chest. It speaks the language of MiPish, a combination of MiP and gibberish. You can also feed it mood chips via the app to see just how whacky it can be. Let me introduce Dash. If you haven’t come across this little robot already. Dash is a coding robot for kids from 6 years and over and is already being used in over 20,000 classrooms to introduce kids to programming. Dash responds to voice commands and sequences that can be programmed in via the five free apps that are available to download offering an open-ended learning platform for kids to grow. What’s more, with Dash you are also invited to join the Wonder League, a challenging community where kids can share ideas and collaborate. Also, Wonder Workshop also regularly hold robotics competitions for kids leading to more opportunities to work together. This cute little robot pet is an easy and fun way for kids from as young as 6 to learn how to code and probably one of the best robot toys for kids. Makeblock’s software, mBlock 5, is based on Scratch 3.0 from MIT where kids can simply drag and drop blocks to begin programming. However, more advanced users may also challenge themselves and switch to more advanced coding languages such as Python, one of the most widely used coding languages for AI and data analysis. mBlock software supports and introduces AI functionalities including image and voice recognition and deep learning. Codey Rocky is one of the best STEAM educational robot for kids. How many boxes do you want ticked here? Coding . . . yes, robot droid . . . yes, Star Wars toy . . . yes, an opportunity to escape the rebel base . . . indeed! Kids can learn their computer science skills using easy block-based coding to perform activities with many linked to the Star Wars franchise and R2-D2’s personality. 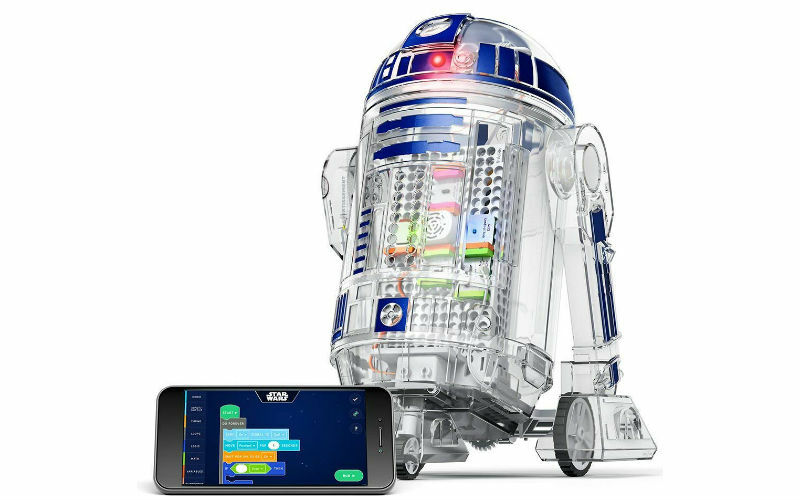 This programmable robot kit for beginners comes with the free Droid inventor app including step-by-step instructions and video tutorials to guide kids through creating, customizing, and coding Droids complete with 20 authentic droid sounds from the Star Wars films. 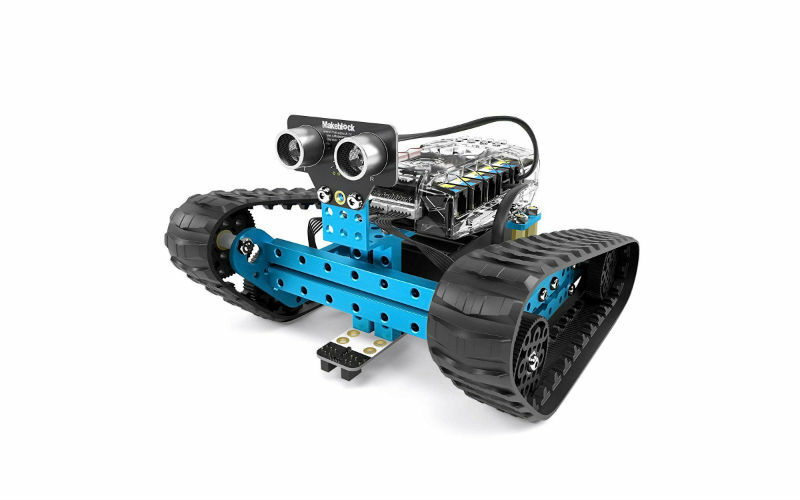 The mBot ranger is one of four different programmable robots for kids that start from 8 years and up with the most advanced starting from 12 and up. The great thing about the set is that they are all cross-compatible, so if you start off with the one aimed at the youngest kids, as they grow and their skills improve, the kits are compatible with the more advanced ones building up a collection of parts with the only limit of creation, their imagination. The mBot series combines a powerful control board with mechanical elements and the mBlock Blockly app which is a perfect way to introduce coding for kids. 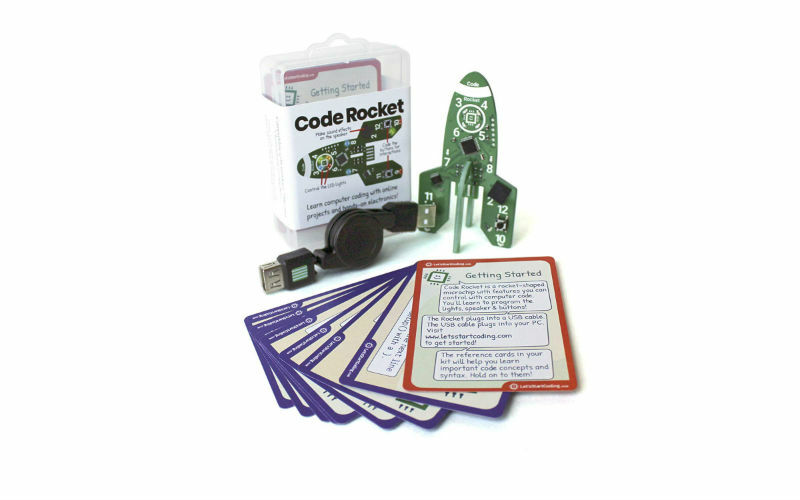 Code Rocket is a beginner robotics kit that has been designed by educators for kids that are looking to get into coding. It is challenging without being frustrating, with an approach that focuses on experimentation and tinkering to learn. The rocket is aimed at kids between the ages of 8 – 12 and will teach real C++ computer coding skills with fun hands-on activities and STEM learning through coding the Rocket’s LED lights, speaker, and buttons. There are 20 projects in the free online software guide the learning process. No experience required! If your kids are more into music that rockets, there are other coding toys for kids from the same company, such as this code piano, be sure to check the others out as well. Ummm, it’s a robot unicorn with a flashing horn . . . I don’t think I need to say any more about how awesome this is. So moving on . . .
OK, just a little more. 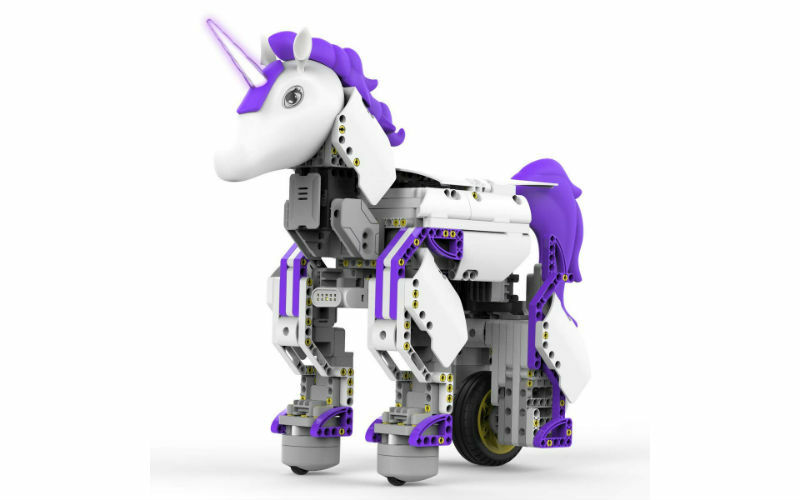 The enchanted UnicornBot kit has everything needed to create a buildable, codable robot unicorn or go off the script and get creative with the 440 snap-together parts to create some other form of horned beast. The JIMU app has step-by-step instructions and introduces kids to the Blockly coding platform, drag-and-drop interlocking blocks of customizable sequences to make your robots navigate obstacles, pick-up objects, control light and sound effects, show emotions, and more. Did I say it was a robot unicorn? 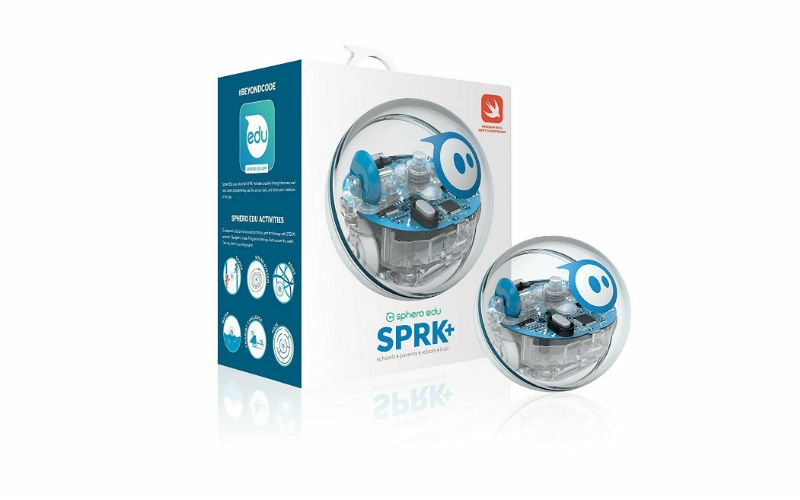 SPRK+ is Sphero’s complete educational robot designed to teach more than just programming by incorporating robotics and technology with collaborative STEAM activities, nurturing students’ imaginations in ways no other education program can. Finally, we hit the motherlode. 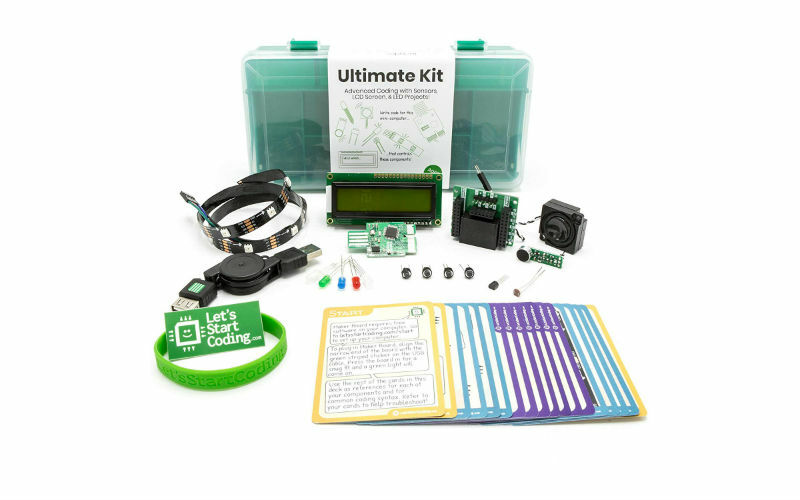 When something is called the Ultimate Coding Kit for Kids, it’s got to be good right? And this definitely appears to be that. With Let’s Start Coding, kids can learn real computer programming the fun way: hands-on! The kits include no-hassle electronic components that are simple to connect and allow the creation of dozens of real-world games, gadgets, and displays. The package includes 14 step-by-step coding lessons to understand the basics of code over 90 different coding projects. The Let’s Start Coding resources have been designed by educators and coders to teach the core concepts in a way that engages kids, challenges their minds, and introduces them to core coding concepts while they have fun! So there you go, that brings to an end this list of some of the best coding toys and robots that are available on Amazon at the moment. So what do you think? Do you have anything to add? A great recommendation to families? Let us know in the comments and we’ll be sure to check it out and add it to the list.